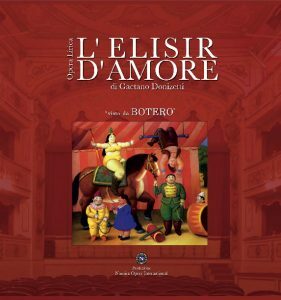 (Italian version) Elixir Of Love seen by Botero – Nausica Opera International is pleased to present the international premiere, the opera “L’Elisir D’Amore”, playful melodrama in two acts by Gaetano Donizetti libretto by Felice Romani. 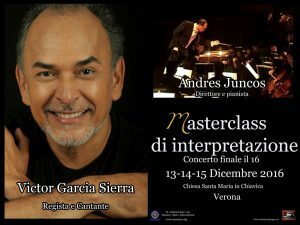 Victor Garcia Sierra, creates and plays a direction in perfect synergy with the Master FERNANDO BOTERO to which are entrusted the sets drawn from the “palette” of figurative production of his paintings, with particular attention to the series of paintings entitled “The Circus”, transporting the public in their artistic imagination in an unprecedented direction supported by the notes of Donizetti’s score. 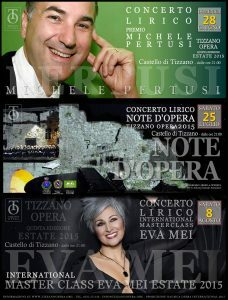 A unique project in the world, housed in a wonderful treasure which the Teatro Giuseppe Verdi Busseto where you can hear and see the big Friends Nausica Opera and interpreters for the occasion: Eva Mei, Michele Pertusi, Celso Albelo and Manuel Lanza, cast World famous that you can see the 7 evening. 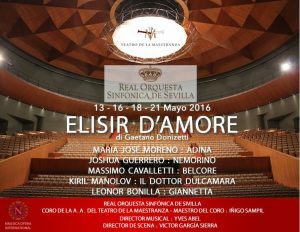 with interpreters: Elena Rossi, Sonia Peruzzo (Adina), Francisco Corujo, Sebastián Ferrada (Nemorino), Alessio Potestio (Belcore), Victor Garcia Sierra and Marco Bussi (Dulcamara), Anna Bordignon (Jeannette). Production NAUSICA OPERA INTERNATIONAL 2013/2014. Director: Victor Garcia Sierra – Master conductor and director: Fabrizio Cassi – Art Director: Yumi Anna Yaginuma – Costumes: Marco Guyon – Light: Stefano Gorreri – Production and Technical Department of stage design: Enrico Fontana De Rangoni – Assistant Director Pierluigi Cassano – Master of Stage: Roberto Barrale. Tags : ELIXIR OF LOVE SEEN BY BOTERO, L'Elisir D'Amore visto da BOTERO, Nausica Opera International, New scenic staging of the opera Elisir D'Amore, New scenic staging of the opera Elixir of Love seen by Botero, paintings entitled "The Circus"